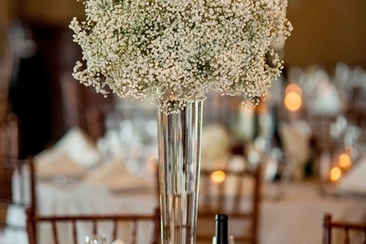 Wedding reception table centerpieces are a must at weddings these days. 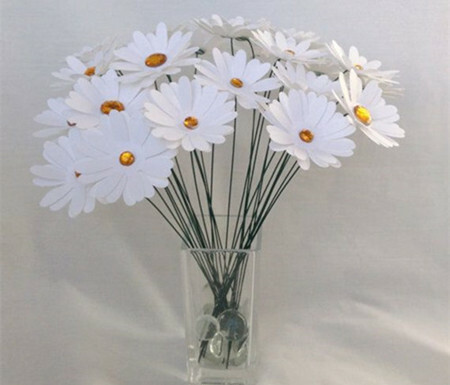 In spite of the barely visible role their absence might play, a beautiful centerpiece idea will always remain a talked about item long after your wedding. Yet it might seem a bad idea to spend $200 on a single centerpiece for a single table. Surprised? Well that is how much a centerpiece costs these days. 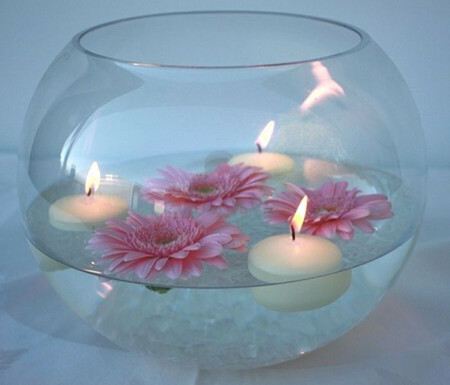 This article provides you with 17 cost effective yet innovatively elegant centerpiece ideas. 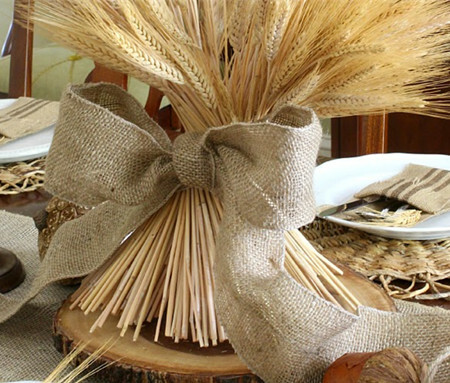 This centerpiece idea suits a themed setting best and would match with the bridal dress. Accent the look by spraying a rosy perfume on the flowers. 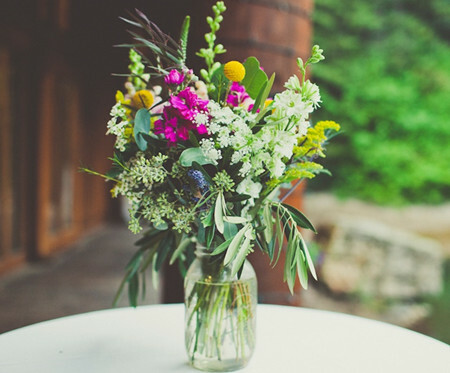 Place the flowers in your house after the wedding as a memory of the event. Looking to save money yet do something extraordinary? 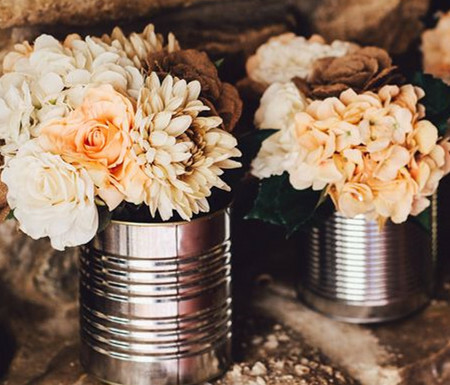 Well tin cans are the thing you are looking for in a centerpiece idea. Not only would they look unique, but they can also be recycled. 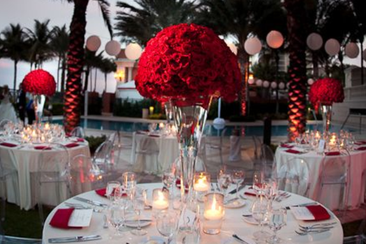 A little silver spray paint would help to enhance the look especially in wedding in an urban setting. 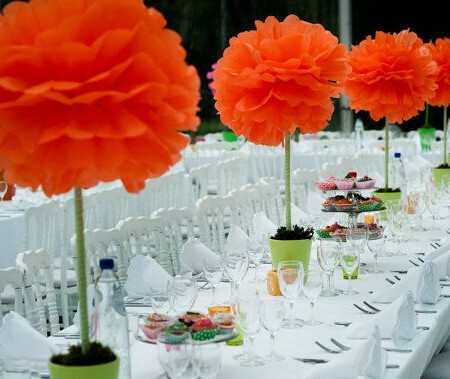 This is one of the best wedding centerpieces ideas for outdoor setting. Make sure the flowers are freshly picked and as consistently arranged as possible. 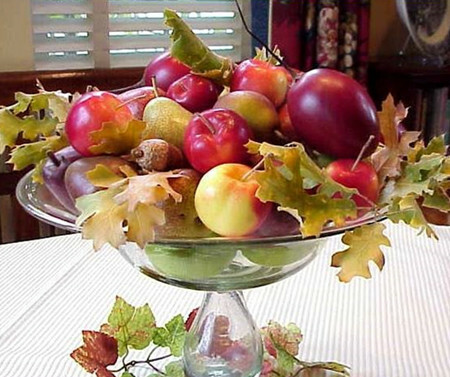 Present the centerpiece as a gift to valuable attendees as a token of your appreciation. Unique and affordable, this wedding centerpiece idea can play the role of two in one: act as a decoration piece and as dessert. A little unorthodox but still effective, the vegetable wedding centerpiece would welcome the guests to a combination of colors. Never would they have seen a centerpiece with so many textures either. Make sure the vegetables are freshly picked and the glasses are clean. 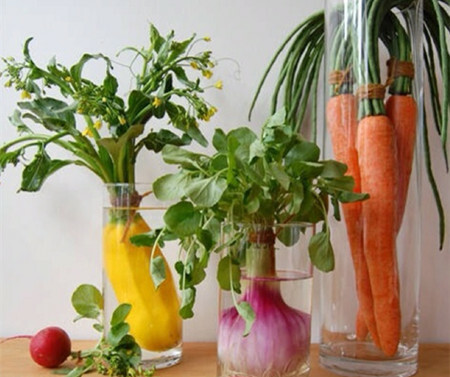 Also mix the combination of vegetables on every table to give a unique look. Let it be thought of as the groundbreaking ceremony of your wedding. 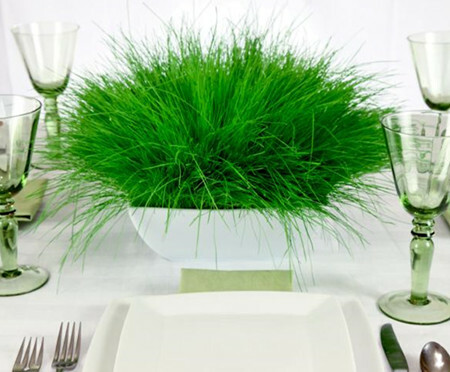 Make sure you arrange your reception on a grassy in fact mossy lawn if you want to adopt this centerpiece idea. Plant the grass in your own garden or terrace garden and forever stay connected with the ceremony. 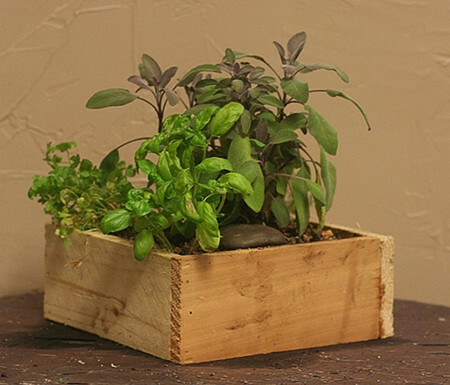 Though not visually as attractive as the previous wedding centerpieces ideas, a herb centerpiece would please the sense of smell rather than sight. The mixture of fragrances from different herbs, coupled with the shades of green they provide, would leave a remarkable impact on the guests and leave your ceremony as a talked about item later on. Ever thought wheat could look this attractive? Well it can and some more if you vary the sizes and numbers of bundles to create different patterns. And cost effective? This is almost free and yet elegant. Vary the colors on each table along with the lengths of the candle and you would have the perfect candle bed in your reception hall. 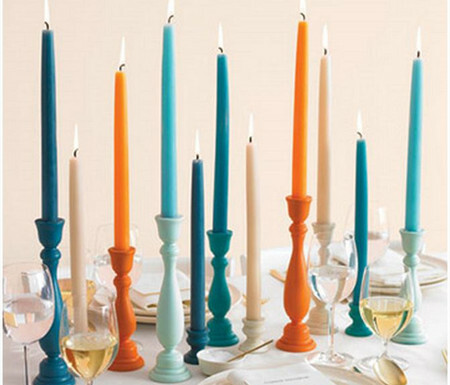 Let the guests enjoy a candle lit dinner while being pleased by the colorful design they create. Use the candles for dinners of your own on the honeymoon. Pet fish are not the only things you can use these bowls for. Though adding them during the ceremony might not be such a bad idea. Also they could easily act as birthday gifts to friends of your kids later on in the wedding. You could use Lego pieces from your and your partner’s childhood. Don’t mind asking the neighbors and family members to chip in either. They would be amazed at what you would have done with their blocks. Simple treat for the kids at the wedding and a visual delight for the adults. 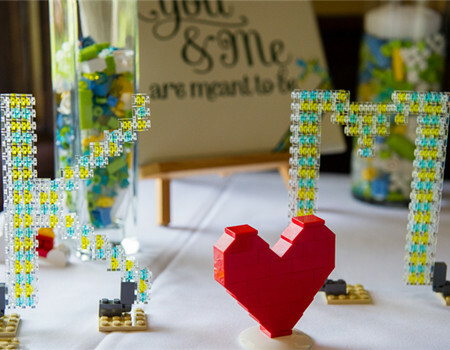 This could be very different from other wedding centerpieces ideas, you’d better make sure the kids stay away till at least half the ceremony is over. 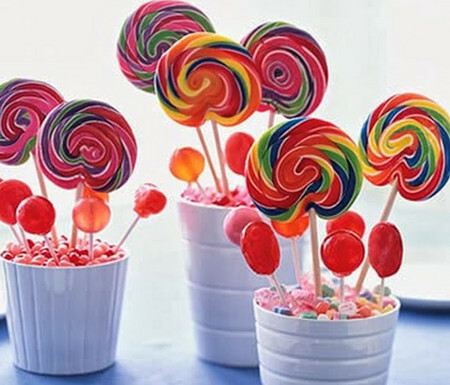 Also vary the colors and kinds of candy on the table to create a rainbow effect. Wrap it up in goody bags at the end of the ceremony. One word? Cost effective! 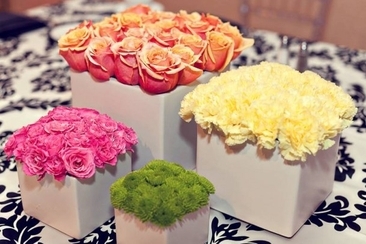 Let the pompons play the role of accentuated roses and get a bunch of plastic cups to hold them. As a precaution fill the cups with a heavy material to hold the pompons in. Spraying some rose waters on the pompons might be a good idea. Best suited in a club setting. 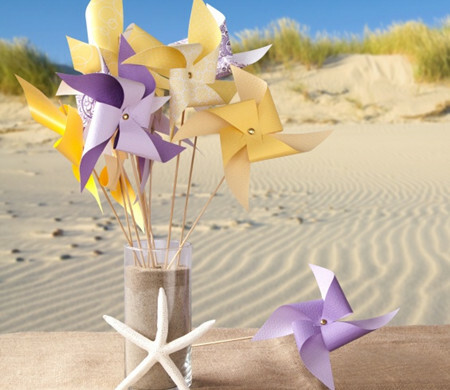 Best suited to a rural setting, the pinwheels would be a constant attraction for the guests throughout the ceremony. Well that could upset the bride but so what. Also, it might take be arduous task making them if you do not go for readymade ones, but they will be lighter on the wallet. 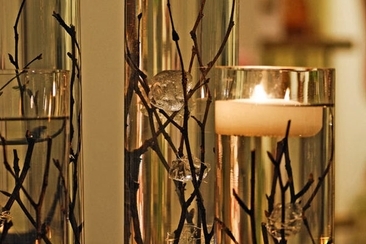 Stylish and unique, this wedding centerpiece idea is best suited to a wedding in the highlands. 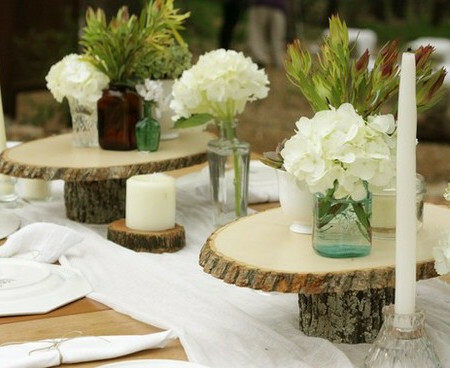 Make sure the log pieces are of the same width and circumference on each table to give an organized look. Enhance the color with some polish or spray paint if need be. 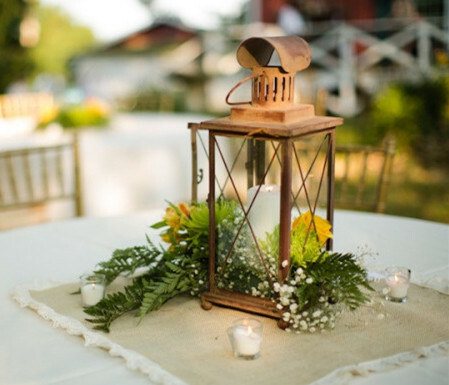 Vintage and classy, the Lantern Wedding Centerpiece is a great idea for a themed wedding reception. 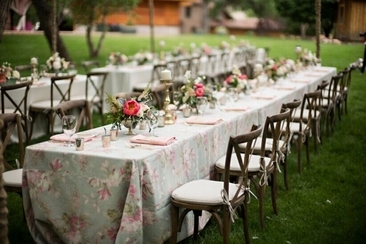 Arrange matching crockery and cutlery for the reception and you would be replicating a 19th century wedding perfectly. Getting married in a university? Not necessarily. 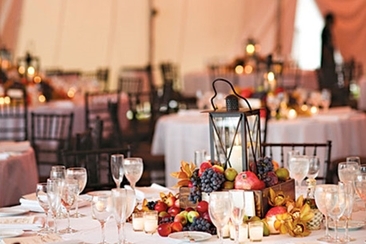 Unlike other wedding centerpieces ideas, this one dose not cost a penny. 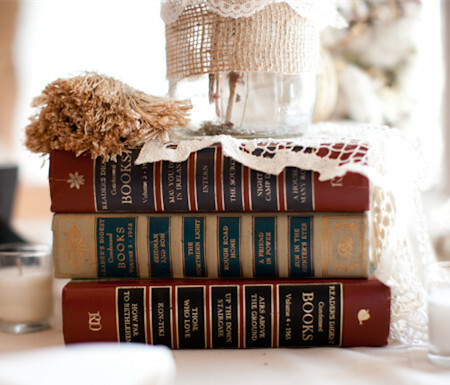 Book wedding centerpiece is a great way to make use of old books and give them away as valuable souvenirs at the end of the ceremony. Remember to sign the books and mention the name of the guest you intend to give it to before the ceremony starts.